Microsoft pays approximately $4.5 billion each year in royalties to third-party games developers. Before the implementation of Kryon RPA, the manual royalties process flow was complex, taking 15-20 minutes for each statement to be completed. 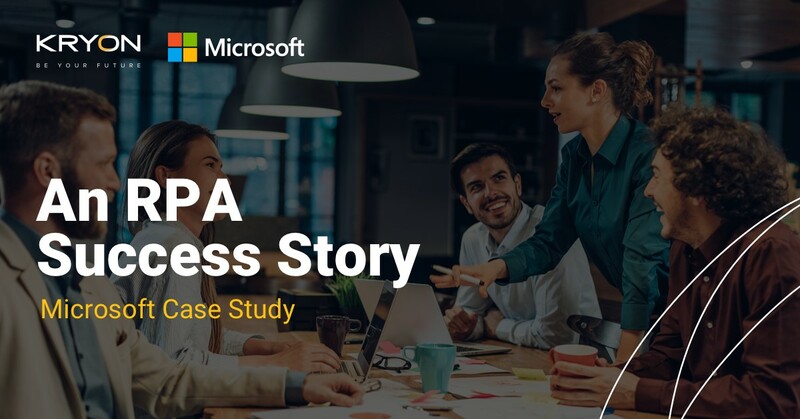 Microsoft used Kryon to automate the royalty payouts process, significantly cutting down processing time. The Royalties team achieved a time saving of 2900%, with 300 statements processed in just 2.5 hours using Kryon, compared with 3 days when done manually. Download this informative case study today to find out more! Founded in 2008, Kryon delivers innovative, intelligent Robotic Process Automation (RPA) that speaks the language of business. This understanding of enterprise operation yields solutions that enable true digital transformation. Using patented AI technologies, our Intelligent RPA platform offers the only comprehensive discovery and automation tool capable of continuous process optimization.